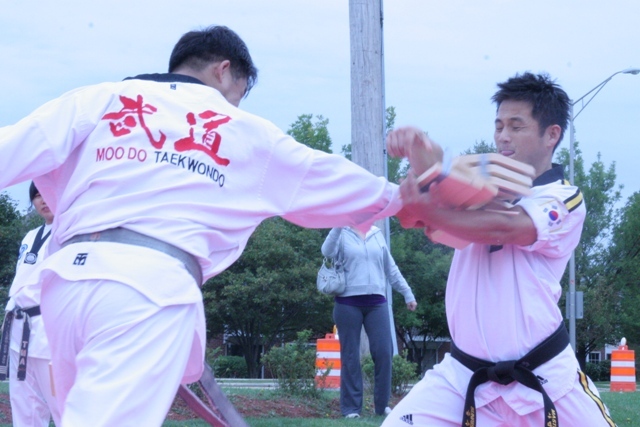 Moodo Martial Art is specialized in Taekwondo, Judo and Jiu-jitsu. We are accepting students who are from 3 year-old. 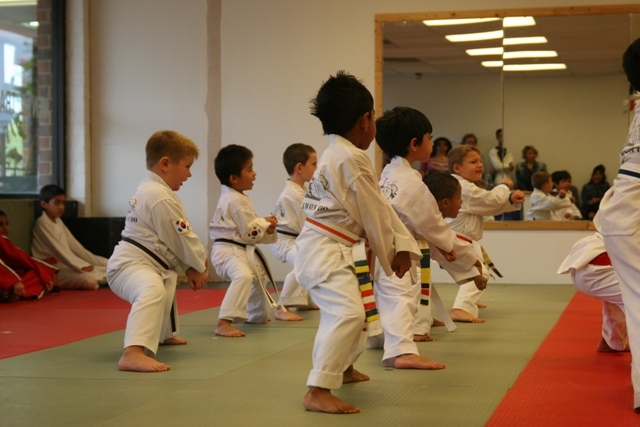 Taekwondo classes are available to all ages and all genders. This school's Taekwondo Belt system for adults and children is accepted to all around world - USA, Korea, Mexico, China, and even in Amazon jungle! 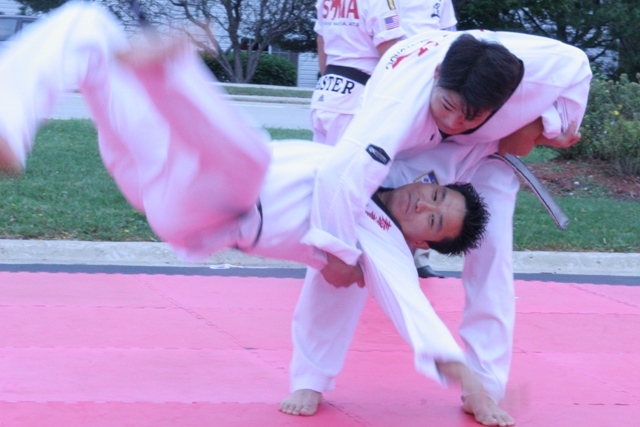 Judo and Jiu-jitsu classes are available to only adult. Also, we do have Women's F1itness Class to develope women's strength, and promote better health. It consists of 6 belts and 6 stripes system that lasts around 1 year. This program will develop your child physical and pcycological strength. During the class, your child will learn and strengthen muscle reflex and body coordination that are important to early child hood. Also, your child will be taught to persuit cooperation, respect, honor, loyalty and obedience. Furthermore, your child will be motivated to have better self-esteem and higher self-confidence. If your child is too shy, no focus, no concentration, or have discipline problems, these classes will be good choice to try. After a few month in classes you can feel and see the difference of your child's behavior and physical strength. As a matter of fact, the stripe and belt system will drive your child to achieve these goals! After the 1 year program your child will be consider for advancing to Children's Classes. The Children's classes are based on Black Belt Program which is consist of 13 belts and 6 stripes system that lasts for about 33 months. This program will develop your child physical and pcycological strength. During the class, your child will learn and strengthen muscle reflex, increase power and speed, and develpe body coordination that are important to child hood and basement for other sports. Also, your child will be taught to persuit cooperation, respect, honor, loyalty and obedience. Furthermore, your child will be motivated to have better self-esteem and higher self-confidence. If your child is too shy, no focus, no concentration, have discipline problems, or lack of physical ability, these classes will be good choice to try. After a few month in classes you can feel the difference of your child behavior and physical ability. 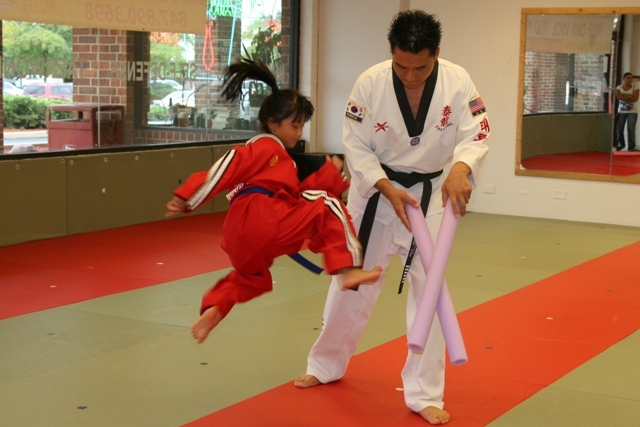 The stripe and belt system will drive your child to achieve these goals! The Adult Taekwondo classes are based on Black Belt Program which is consist of 13 belts and 6 stripes system that lasts for about 33 months. This program will develop your physical strength including muscle reflex, power, speed, and body coordination Also, this program can be good work-out for fat-burning to reduce your unwanted size. If you are stressed out and can not work out alone, this program will be good choice to get rid of sresses and work out together with professional coach. Master Koo was a top professional Judo Athlete who won countless medals of Judo competetion in Korea and USA. And, also he was USA Judo Olympic team coach for a year. If you'd like to have advanced skills in Judo-Jujitstu, or if you'd like to have professional work out, Moodo Martial Art is Right Choice for You!!! Copyright 2009 MOODO MARTIAL ARTS.